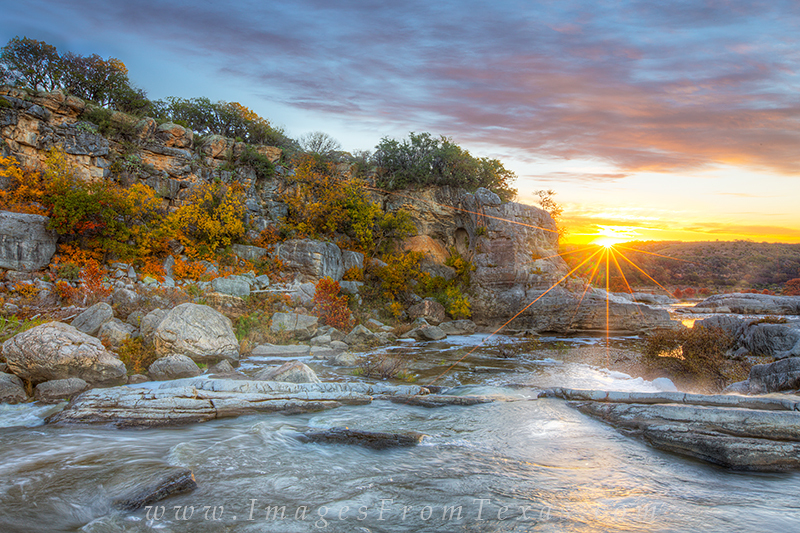 I know Pedernales Falls State Park pretty well, and I had scouted out this location in previous days. For sunirse, I returned here and enjoyed a great light show as the sun peaked over the distant ridge of the Texas Hill Country. Floods the previous week had raised the Pedernales River to pretty high levels, and this added to the uniqueness of this vantage point. Just a few days earlier, that rock on the front right of the picture was completely submerged. Photo © copyright by Rob Greebon.